The Beatles began recording their double album, simply titled The Beatles but more commonly known as the White Album, on this day. The session lasted a little over 12 hours, beginning at 2.30pm and ending at 2.40am the following morning, and saw the group work on Revolution 1. At this point it wasn't known as Revolution 1, however. The title was Revolution until it was vetoed for single release, after which a new, faster version was taped under that name. The Beatles recorded 16 takes of Revolution 1 on this day. These were numbered 1-18, although there were no takes 11 and 12. The recording had piano, drums and acoustic guitar all on a single track of the tape, and Lennon's vocals on another. Take 18 was markedly different from the others, lasting 10'17" and featuring an extended jam in the coda, until Lennon shouted "OK, I've had enough" back to the studio control room. The final six minutes featured feedback, screaming and moaning, including vocal contributions from Lennon's new girlfriend Yoko Ono. 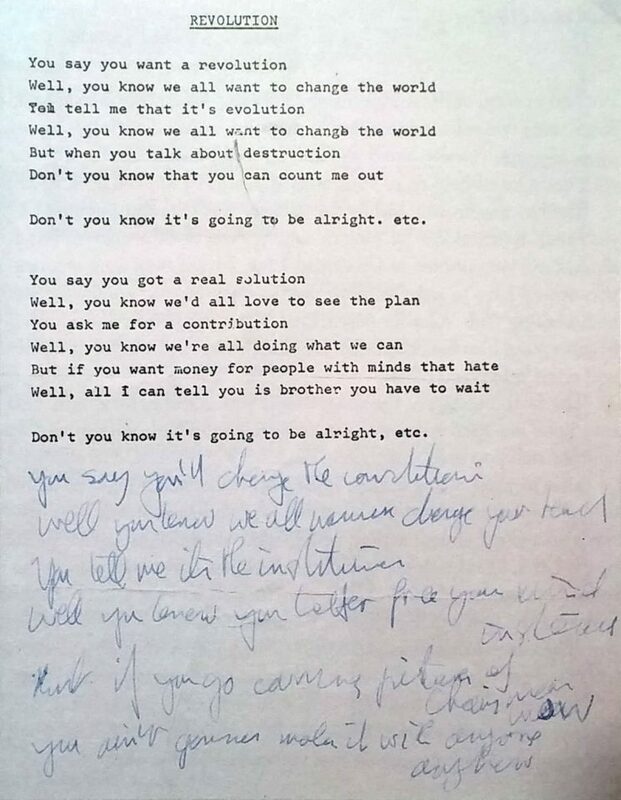 Overdub work on Revolution 1 continued during the next two sessions, on 31 May and 4 June, before Lennon made the decision to create the sound collage Revolution 9 from the final minutes of the song.